I've always loved the Missionary model that I used as the basis for this conversion. I decided I wanted to go somewhat simple. I wanted an Inquisitor with his trusty Plasma Pistol, a Force Staff (Force Sword in game) and an array of grenades, pouches and communication gear. I like the idea that this guy is not a fighter, but a planner. The pistol is a last stand sort of option for him. 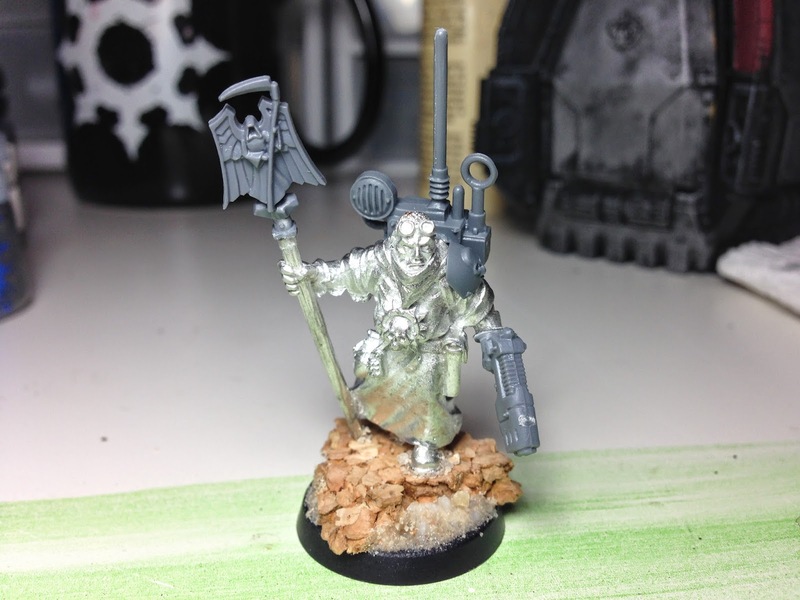 I love the Dark Angels bits and felt the little Grim Reaper bit would make a perfect staff topper. 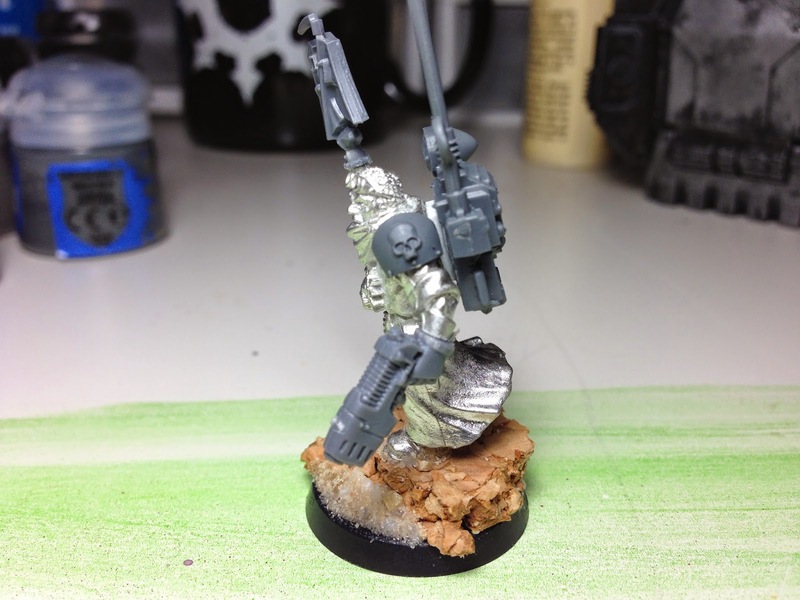 Add in a Space Marine Plasma Pistol, Astra Militarum (Imperial Guard) Command Shoulder Pad and Voxcaster and you have a very simple conversion that I think will look nice on the battlefield. The plan is to paint this guy up sometime next week and then post some pictures. I'm currently debating on colors for the robe. I think something dark makes sense as he'll be with the Deathwatch Marines. Then again, maybe I'll go crazy bright and give him a full entourage. I really haven't decided yet.